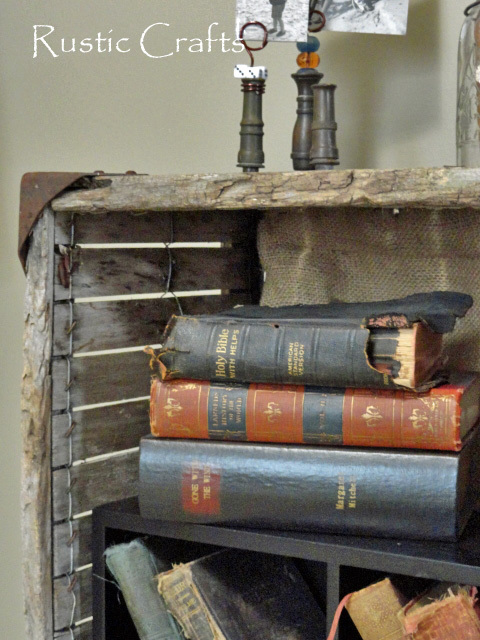 Don’t spend hundreds of dollars on decorating your home when you may have a treasure trove of possibilities sitting in your garage, barn, shed or neighbors house! You would be surprised what some people will put out at the curb to throw away. 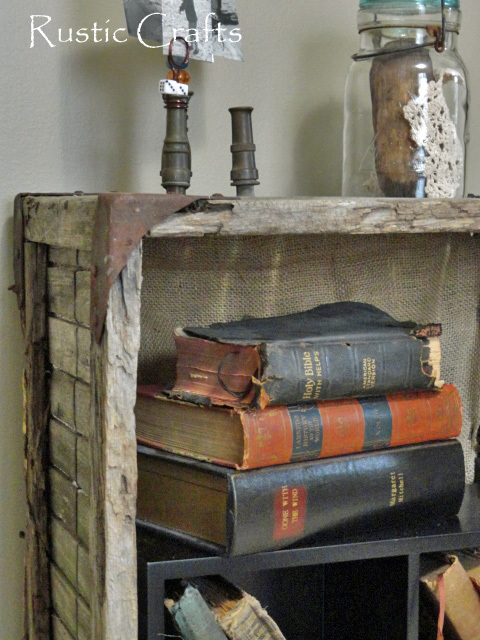 One person’s trash is another person’s treasure! You won’t believe where I got the old crate to make this funky little book shelf. It came right out of the middle of the woods! Not by itself….my husband was taking a walk one day, near our cabin, and came across it. Knowing that I love junky finds like that, he brought it home for me. I just love those kind of gifts the best of all! A little weird I know. It didn’t have much of a back on it and by the time I got done giving it a good cleaning, it didn’t have any back left on it at all. The rest was pretty sturdy though – just a little warped out at the sides. 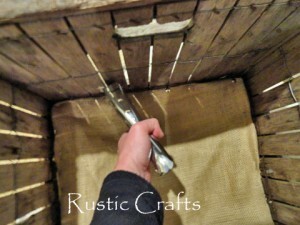 I used one of my favorite tools, my heavy duty stapler, to secure the burlap. Then, I just inserted a cube display that I already had, which fit perfectly. How about something like this little treasure? I know that I have seen a tool box like this somewhere in our garage….and it’s not going to stay in our garage any more! 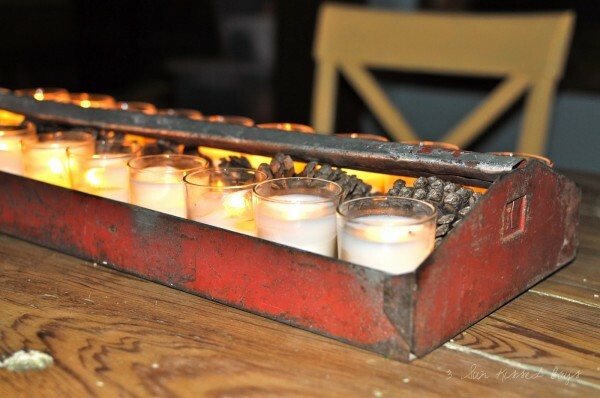 I love the way 3 Sunkissed Boys Blog made this into a decorative candle holder. 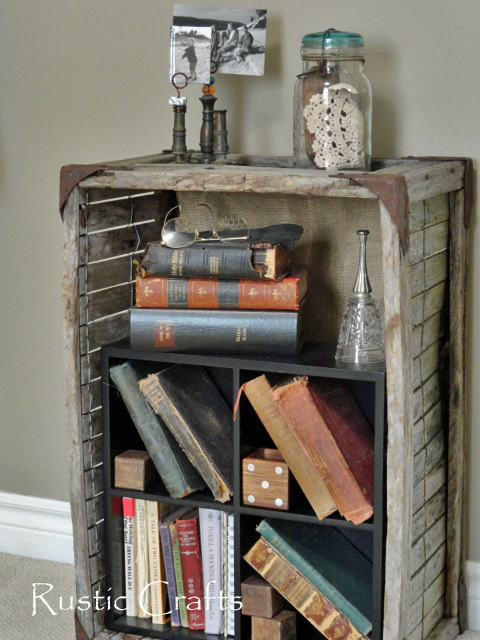 It’s such a fun rustic look. 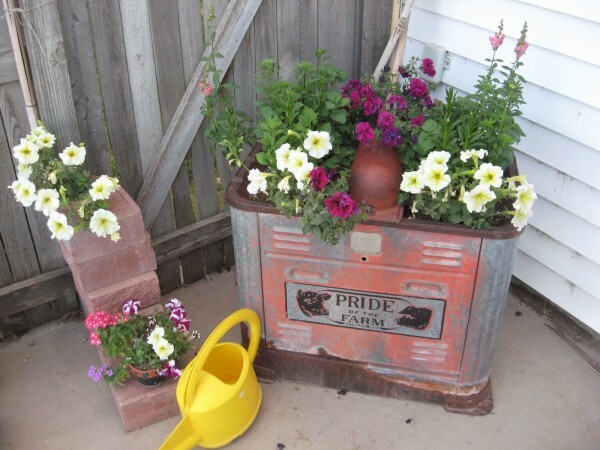 This makes a fun base for a flower garden! 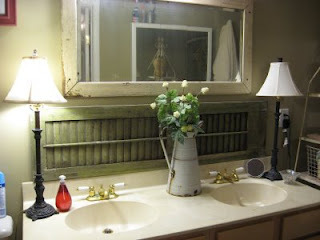 I would not have thought about putting an old shutter behind the sinks in the bathroom but this idea by Junkin Escapades adds tons of rustic character. The vintage enamel pitcher is a perfect accessory to complement the decor. 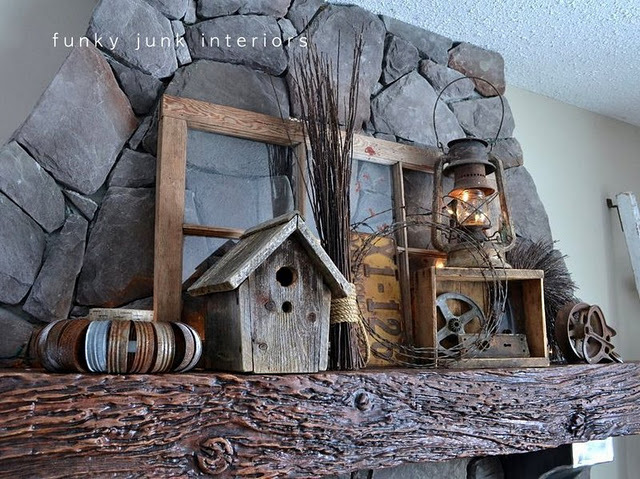 And, I just love this whole collection of junk from Funky Junk Interiors! The key to the success of this display is all in the grouping. 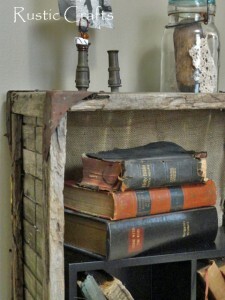 Everything complements each other to a tee – old, rustic, but varying textures – I love it! Thanks Karen! Half of the fun is in the collecting!